Mikhail Bulgakov was defiant to say the least. He wrote The Master and Margarita between 1928 and 1940, during the anti-religious campaign in the Soviet Union. It wasn’t published until 1967, twenty-seven years after Bulgakov’s death, and was censored even then. To this day, I’m sure some may be intimidated by the novel’s dark themes and the fact that the devil, himself, is one of the main characters. Yet, there is a subtext that goes far beyond the plot’s macabre and mischievous elements. Master and Margarita is a rich tale of love, reluctant duty and subsequent guilt, a critique of social, political and literary elitism, and the mercy of amnesty. The novel’s rich, multi-layered plot is interwoven with history, religion and politics and shifts between two settings; 1930’s Moscow and Pontius Pilate’s court in Judea. In Moscow, a mysterious stranger named Professor Woland strolls through Patriarch’s Ponds and overhears a young poet and an editor contemplating philosophy and the existence of Jesus. He takes interest and contributes to the discussion. What he has to say has the pair questioning his sanity…then their own. It quickly becomes evident that Woland is much more than he appears, and dangerously so. It is a fact that leads to the demise of one member of the intellectual pair, but not before he speaks of Pontius Pilate and the execution of Jesus (Yeshua Ha-Notsri) as though he were there at the time. Soon, Woland’s entourage—a valet, a hitman, a witch, and a talking, vodka swigging, gun-toting black cat who walks on two legs—emerges. Madness ensues and the city is turned upside down as Woland torments the residents by using their own vices against them. Woland’s path intersects with a tormented author known as The Master (whose novel about Pontius Pilate was harshly judged by critics even though it was rejected for publishing) and his lover, Margarita, who happens to be unhappily married. Prior to Woland’s arrival the lovers were torn apart by The Master’s depression following the attack on his work. Margarita is distraught when the Master suddenly vanishes. She accepts a dubious proposition from the mysterious stranger in hopes of learning more regarding her lover’s whereabouts. Margarita undergoes a bizarre transformation as well as a cruel test that only true love could give one the tenacity to endure. This storyline is interwoven with what is essentially The Master’s book brought to life; the unfolding of Pontius Pilate’s trial of Yeshua. Through his interrogations, Pilate comes to realize that Yeshua is not a mere criminal. He becomes intrigued by the prisoner who knows personal details about him. His fascination grows after Yeshua heals his severe headache and correctly assesses his emotional state. Pilate becomes conflicted when he is forced to confirm the prisoner’s death sentence. Bound by his duty, and his fear of taking Yeshua’s place should he not comply, he reluctantly follows what has been requested of him. Despite having washed his hands of the matter, he is nonetheless haunted by guilt for hundreds of years. In the end, both storylines converge for a conclusion that is poignant and powerful. 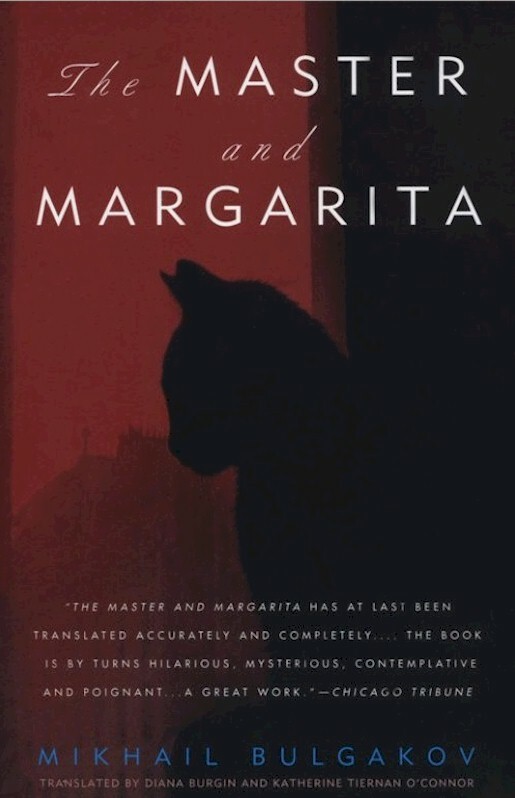 Master and Margarita is the kind of book one could read multiple times and get something new out of it. I admire Bulgakov’s ability to satirize government policy and literary critics while prompting the reader to consider theological philosophy. He achieves this with an intriguingly balanced combination of romance, comedy and horror. I first read this novel over twelve years ago and admit that with age, maturity, and a firmer grasp of Russian culture, I’ve grown to better comprehend and appreciate its remarkable depth. Have you read The Master and Margarita? If so, feel free to add your thoughts in the comment section. Click here to check out my next banned book selection, Nineteen Eighty-Four by George Orwell. This entry was posted in Uncategorized and tagged black magic, Bulgakov, history, Jesus, Margarita, Master, Moscow, Pilate, poet, Politics, Religion, Russia, satire, Woland, writer. Bookmark the permalink.